The Great Singapore Sale (GSS) only gets better when you swipe with your MasterCard. Whether you reside in Singapore or are visiting, MasterCard offers the best travel & recreational packages for you. No time to travel out of Singapore? There are 24 hotel packages for you to choose from, for the ultimate rest & relax staycation over the weekend. From movie tickets to Universal Studios Singapore deals, flight simulation to cruising on a yacht, Singapore is never a boring city for the fun and adventure seeker. 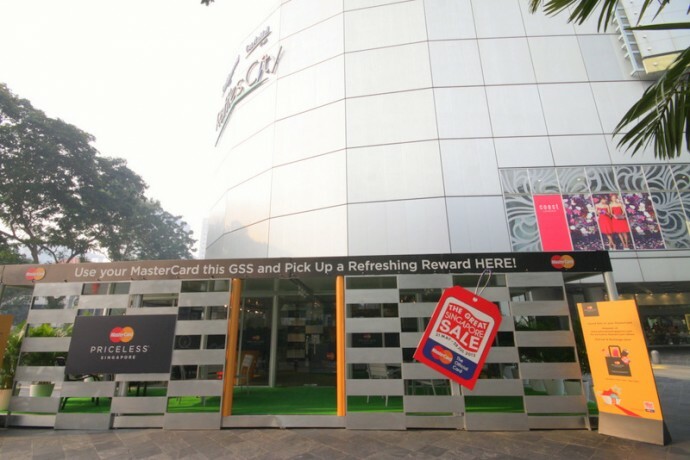 Make sure you visit the MasterCard Oasis at Raffles City just outside Robinsons when you spend S$50 or more on your MasterCard card. At the Oasis, you get to enjoy complimentary chilled drinks and sweet treats, flip through magazines as well as a complimentary foot massage. Not only do you get to recharge, you can also recharge your mobile devices. 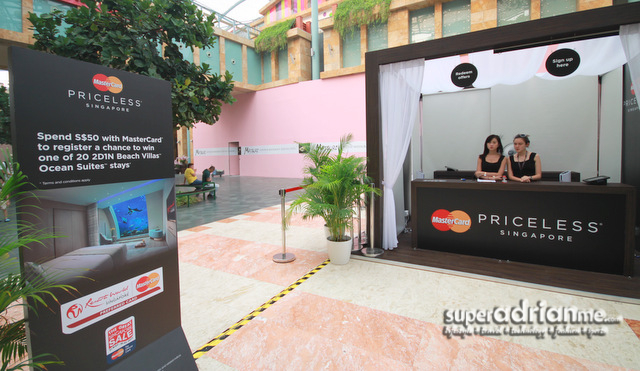 The MasterCard Oasis is open from daily from 11am to 9pm till 30 June 2013. Spend S$50 or more in a single receipt at participating Resorts World Sentosa outlets with your MasterCard card and register at the Priceless Singapore booth at Forum B1 with your receipt to redeem an instant prize (while stocks last) and a chance to participate in the lucky draw to win one of twenty 2D1N Beach Villas Ocean Suites stays. Prizes for the instant redemption include S$25 cash vouchers and other gifts. Asiatravel.com • Receive S$35 off all flight packages departing from Singapore Visit this link for more information. Additional S$1 will be applicable for blockbuster movies All Cathay Cineplexes Visit www.cathay.com.sg for more information. Flight Experience • 1 free framed photograph with each flight 30 Raffles Avenue #02-06 For booking of flights, please visit this link. Hertz • Complimentary HERTZ Gold membership• 10% discount for participating Hertz locations worldwide• 10% discount for HERTZ Prestige, Fun, Family and Green Collections• Complimentary one-car-class upgrade (subject to availability) Visit this link for more information. RWS Invites® Receive additional S$15 dining vouchers when you sign up for RWS Invites membership (S$150) and enjoy one welcome package worth up to S$200Valid for sign-ups from 1 June till 31 July 2013 and require a mailing address in Singapore. Resorts World™ Sentosa Singapore 8 Sentosa Gateway, Singapore 098269 Sign up online via rwsentosa.com/rwsinvites or onsite at the RWS Invites Service Centre (Level 1, Forum). Singapore Repertory Theatre • 10% off on all SRT productions 20 Merbau Road, Singapore 239035 Visit www.srt.com.sg for more information. [email protected] • Please quote “MasterCard” at point of reservation. S$200 dining credits for F&B restaurants located across 6 hotels(Only for World & World Elite MasterCard Holders) 8 Sentosa Gateway, Singapore 098269 For reservations, please email [email protected] or call 6276 6941 (Monday to Friday, from 9.30am to 6pm). ‟Price Match Guarantee” hotels when you use the promo code ‟MasterCard” Visit www.hotels.com/mastercard for more information on how to receive your coupon. or call (65) 6735 7575 • Please quote “MasterCard” at point of reservation. or call (65) 6412 1244 • Please quote “PMAS” at point of reservation. [email protected] or call (65) 6577 8899.
or call (65) 6298 8889 • Please quote “MasterCard” at point of reservation. 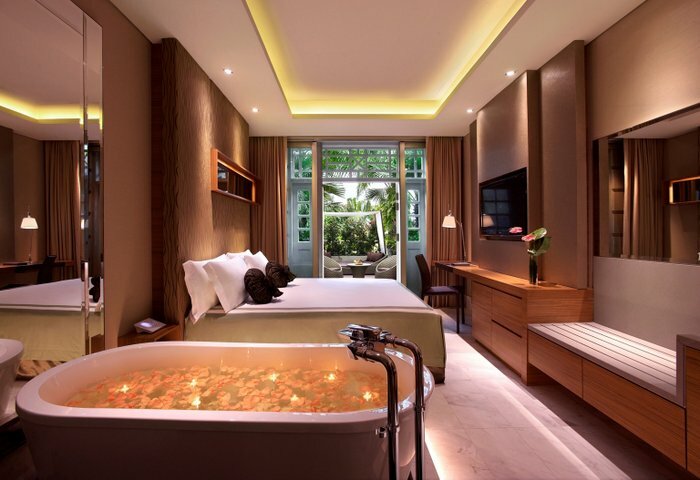 or visit www.shangri-la.com • Please quote “PVWMC” at point of reservation. W Singapore – Sentosa Cove Log on to www.SPG.com/WorldMastercardGold to register for the promotion. www.worldhotels.com/en/ mastercard-priceless-singapore and present your World and World Elite MasterCard card upon check-in.